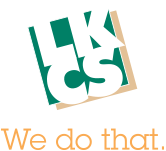 Josh started working for LKCS part-time in 2003, when he was in High School, and returned to LKCS after graduating from Cedarville University in Ohio. He is eager to learn new things and is involved in many areas of the company including Web, Imaging, Bindery, and Digital Printing, with his main focus being Variable Data Printing. 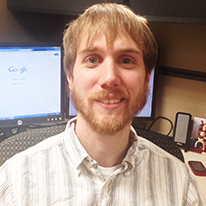 Josh writes on Variable Data Printing solutions and strategies. You’ve decided that it is time to start a new marketing campaign, but you don’t want the usual generic postcard or letter. You need something personal, something that will catch the eye of your customers and keep them interested in what you have to offer. It’s time to try Variable Data Printing (VDP)! Here are some tips to help facilitate a smooth marketing campaign using Variable Data Printing. Variable Data Printing can be the difference between a successful or unsuccessful marketing campaign. Personalized letters and postcards can better catch the eye of the recipient, and can turn piece of mail that would have gone straight to the trash into the key to gaining a new account holder for your institution.